There are a total of 178 embassies and diplomatic missions in the national capital city, and 177 of them belong to foreign countries. 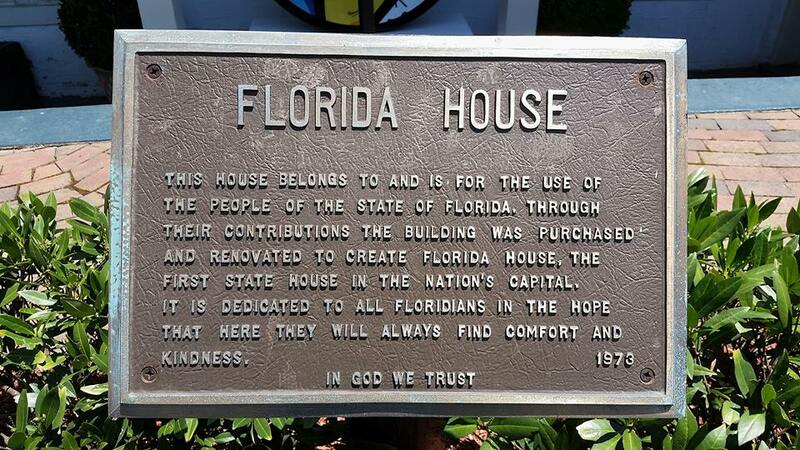 The remaining one belongs to the state of Florida, which is the only one of the 50 states to have an embassy in D.C. Other states, specifically California and Texas, have tried but have not met with success. 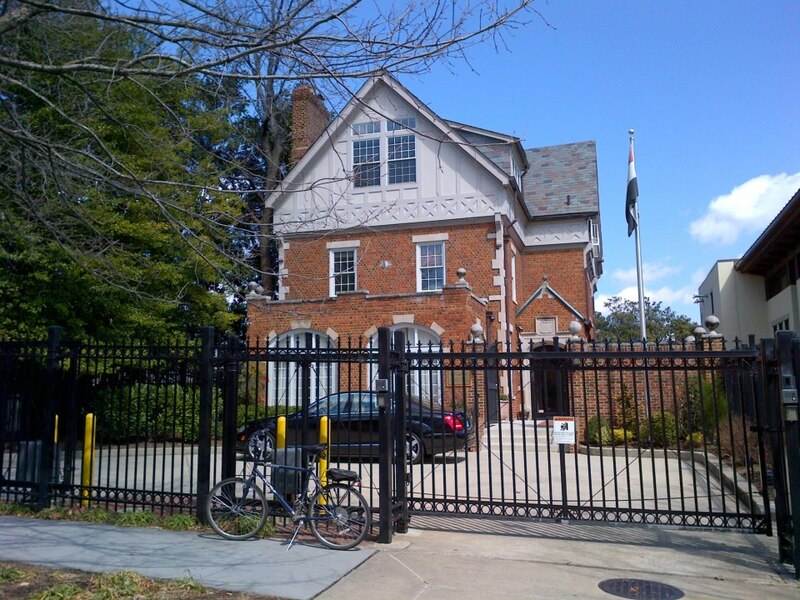 So on today’s lunchtime bike ride, I visited The Florida Embassy, which is located at 1 2nd Street (MAP) in northeast D.C.’s Capitol Hill neighborhood. It is at the corner of East Capitol and Second Street, directly behind the Supreme Court building. And it offers an excellent view of the dome and the Statue of Freedom on top of the nearby United States Capitol Building. 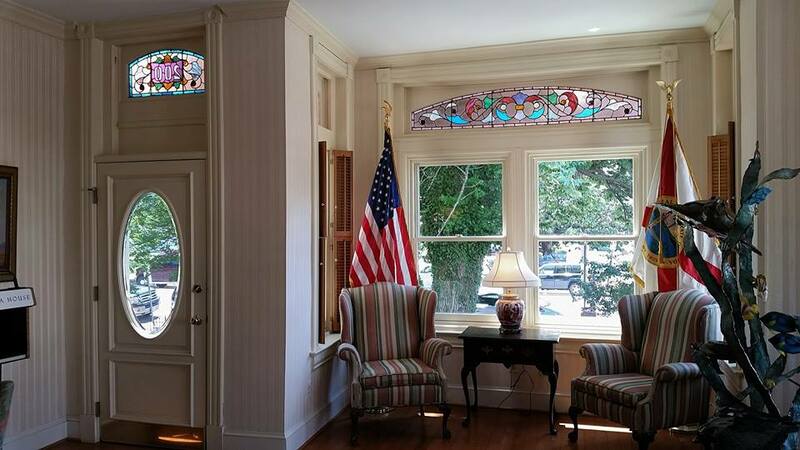 Also known as “Florida House,” this unique embassy is located in a restored 1891 Victorian house, and since 1973 it has been a privately-owned and funded education and information center that provides meeting, classroom and reception space for visiting Floridians, students, dignitaries, elected officials and those doing business in the nation’s capital. 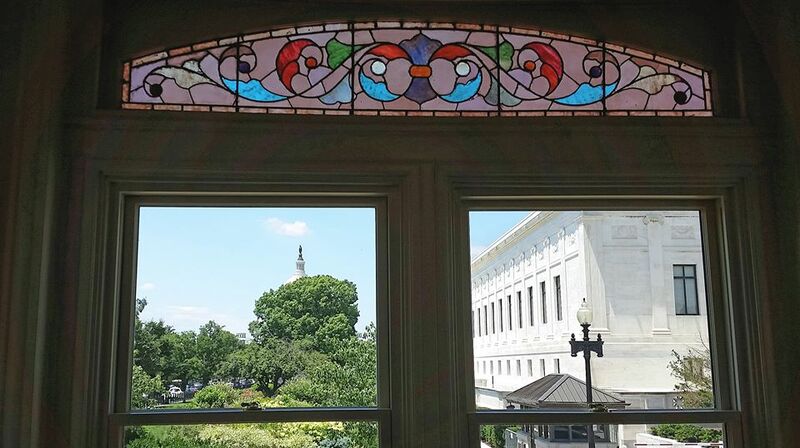 On today’s visit I was greeted by a very friendly summer intern, who gave me a tour of the embassy building, as well as the art and antique furnishings it contains. 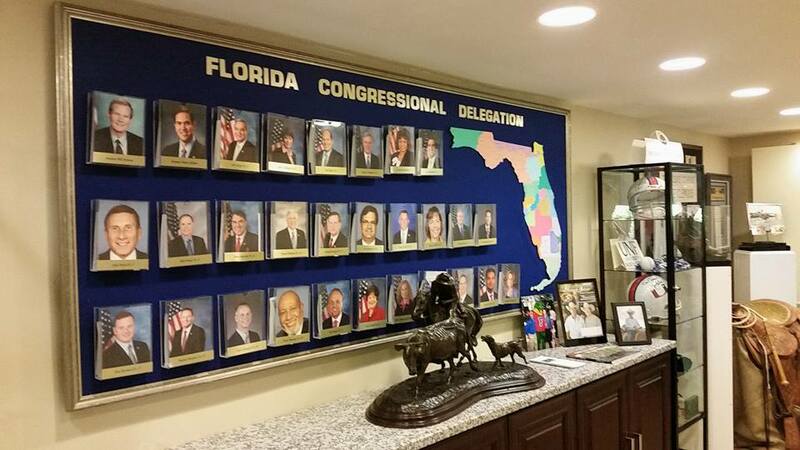 The embassy also provides information about Florida’s congressional delegation, and other famous Floridians, as well as many other programs and partnerships that support and showcase the Sunshine State’s education, business, arts and culture, and of course, hospitality. And I was able to learn about all of this while enjoying a complimentary glass of cold Florida orange juice. The first time I saw an Inuksuk (also spelled inukshuk, plural inuksuit) here in D.C., I happened upon it by accident. From a distance it looked like just a big pile of rocks. 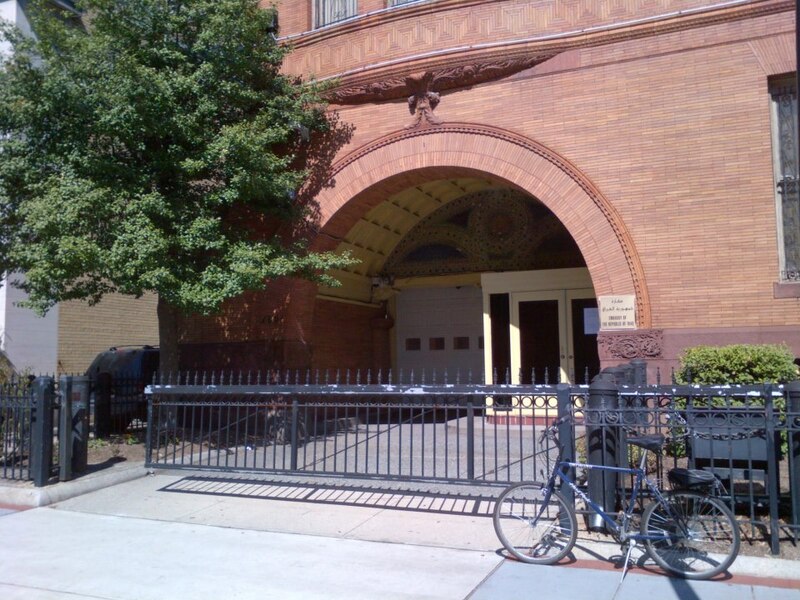 But because it was on the well-kept grounds of the Organization of American States, I approached it to get a better look. I then researched it to find out more because it was the first time I had ever encountered an inuksuk. The situation was different this time. I’d previously heard there as an inukshuk in the lobby of the Canadian Embassy, located at 501 Pennsylvania Avenue (MAP) in downtown D.C., so I intentionally road there on this lunchtime bike ride to check it out. 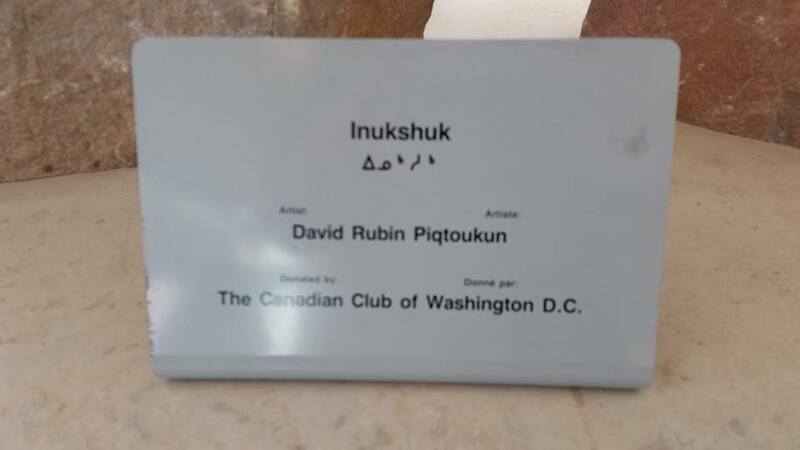 Created by David Ruben Piqtoukun, an Inuit artist from Paulatuk in the Northwest Territories, the inukshuk at the Canadian Embassy was the first, and for many years the only one, in D.C. It was created in 1988. And it wasn’t until more than two decades later, in 2010, that the city’s second inuksuk was built. That inuksuk, the one on the grounds of the Organization of American States, was a gift from Canada. To date, they remain the only two inuksuit in the city. An inukshuk can be small or large, and be comprised of a single rock, or several rocks of varying sizes and shapes balanced on each other. They are usually built from whatever stones are at hand, making each one unique. 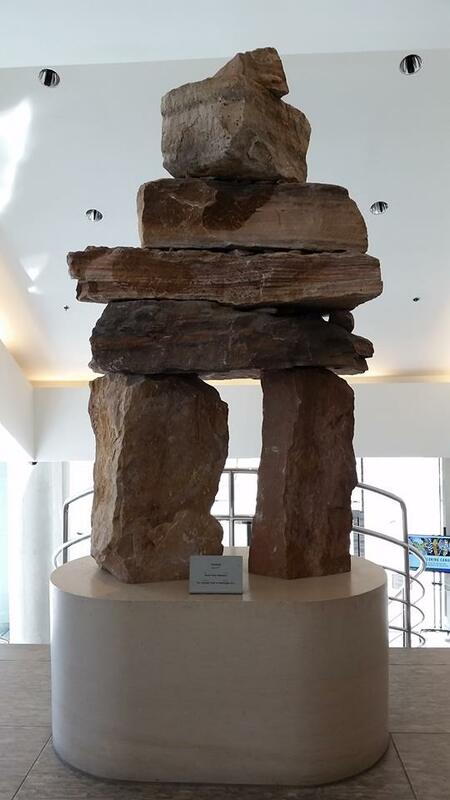 One of the things that impressed me the most about the Canadian Embassy inukshuk was how vital each and every rock is to the integrity of the piece. 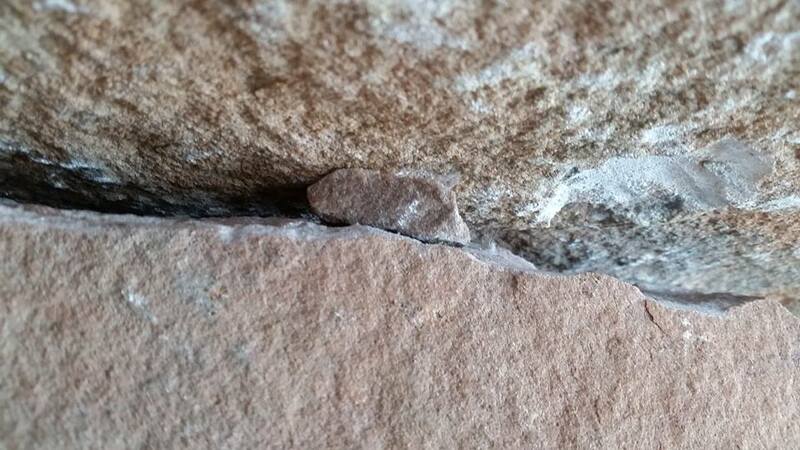 Even the smallest rock, as shown in the video below, is indispensable. 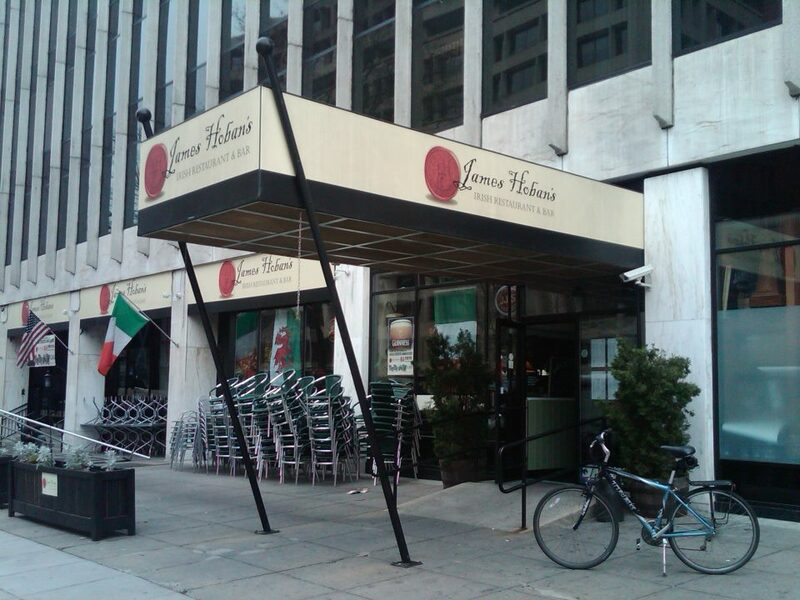 Without it, the entire structure would fall. The Canadian Embassy inukshuk depicts the form of a human being and is, therefore, also referred to as an inunnguaq. An embassy brochure explains that the “Inuit sculpture mimics the figure of a solitary man. The rocks are balanced one on top of the other, only the bottom two are fixed. Such Inukshuit, built by the people of Canada’s northernmost region, are used to mark trailheads and to pen caribou. 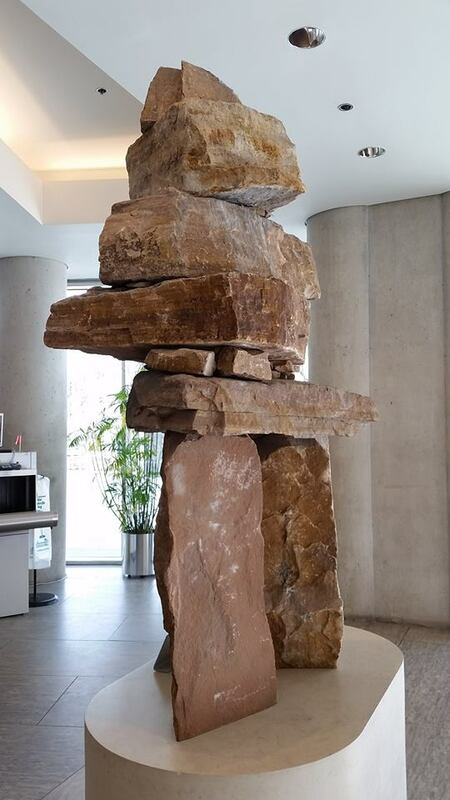 When snowfall creates whiteout conditions, the Inukshuk serves as the only distinguishing feature between land and sky.” For these reasons, an inukshuk can be a welcome sight to a traveler, making it very appropriate to the embassy’s lobby, where it welcomes visitors. On December 17th of last year, President Barack Obama and Cuban President Raúl Castro announced the beginning of a process of normalizing relations between Cuba and the U.S. Then on April 11th of this year, Presidents Obama and President Castro shook hands at the Summit of the Americas in Panama, marking the first meeting between a U.S. and Cuban head of state since the two countries severed their ties in 1961. And on July 1st, President Obama announced the formal restoration of diplomatic relations between the two countries. 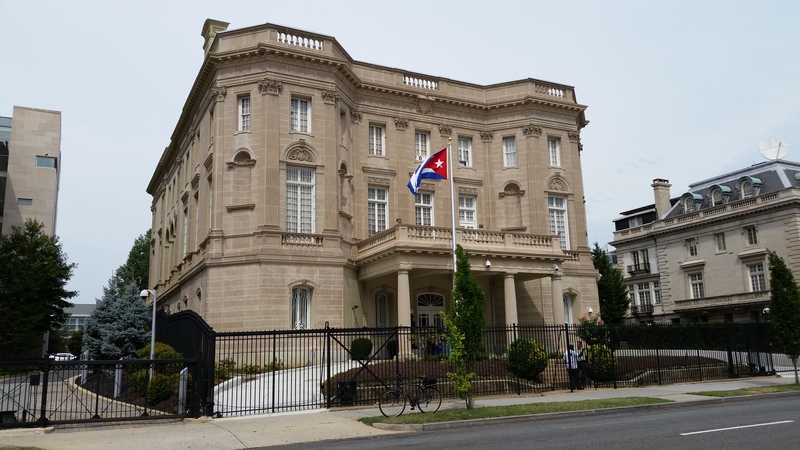 So in recognition of this renewed relationship, often referred to as “The Cuban Thaw”, I decided on this lunchtime bike ride to ride to the diplomatic mission of Cuba to the United States – the newly reopened Cuban Embassy. The Republic of Cuba actually had a diplomatic outpost in D.C. even before the country existed as an independent nation. 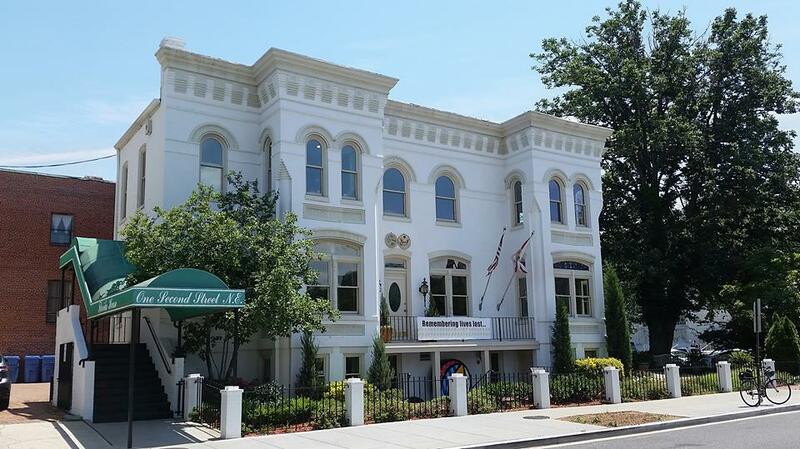 In the 1890s, as Cubans mounted a war for independence from Spain, Gonzalo de Quesada established a legation at the fashionable Raleigh Hotel on Pennsylvania Avenue. After some rebel successes in this war for Cuba’s independence, U.S. President William McKinley in 1897 offered to buy Cuba for $300 million. It was the rejection of that offer, and an explosion in Havana harbor that sank the American battleship USS Maine, that led to the Spanish–American War. In Cuba the war became known as “the U.S. intervention in Cuba’s War of Independence”. On December 10, 1898, Spain and the United States signed the Treaty of Paris and, in accordance with the treaty, Spain renounced all rights to Cuba. The treaty put an end to the Spanish Empire in the Americas, and setting the stage for the birth of the independent Republic of Cuba. 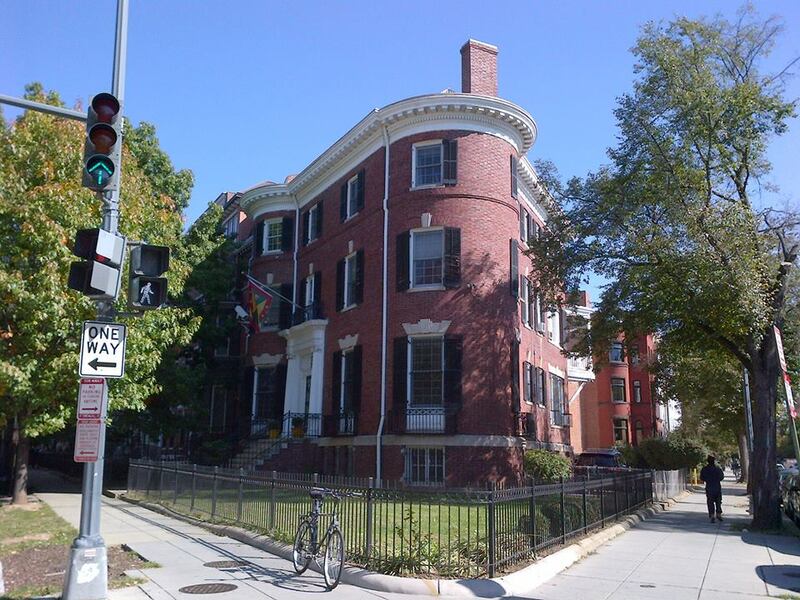 Two decades later, in 1917, Cuba constructed an embassy in the United States, located just two miles north of The White House at 2630 16th Street (MAP) in the northwest D.C.’s Meridian Hill neighborhood. 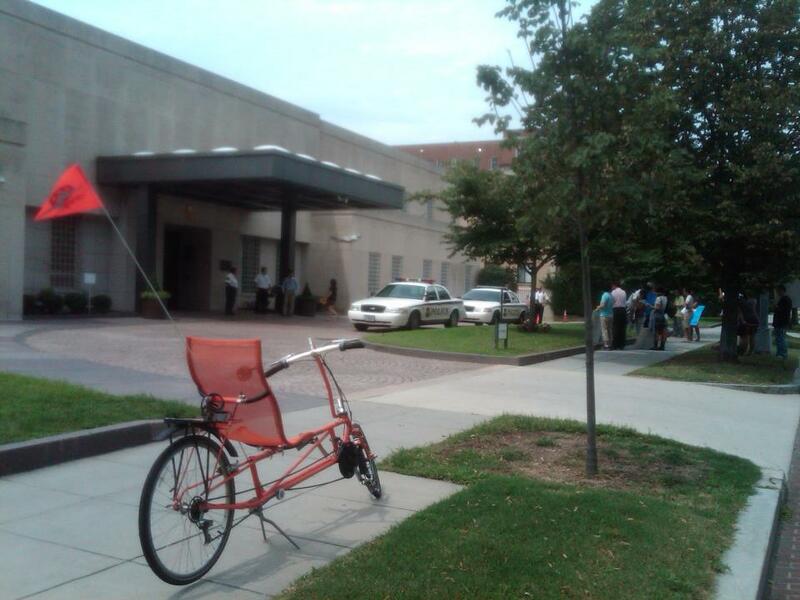 At that time Meridian Hill was home to many of the city’s finest embassies. 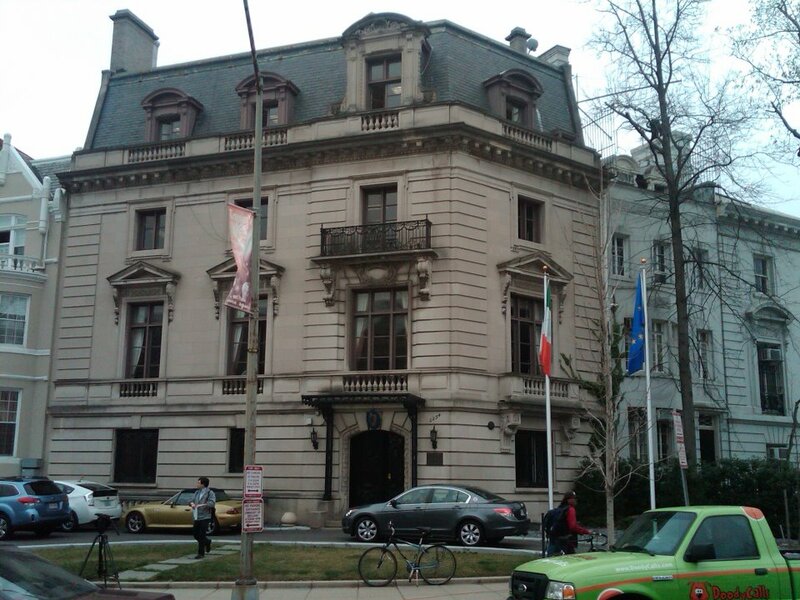 Close by are the former Italian, Mexican, and Spanish embassies as well as the current embassies of Poland and Lithuania. 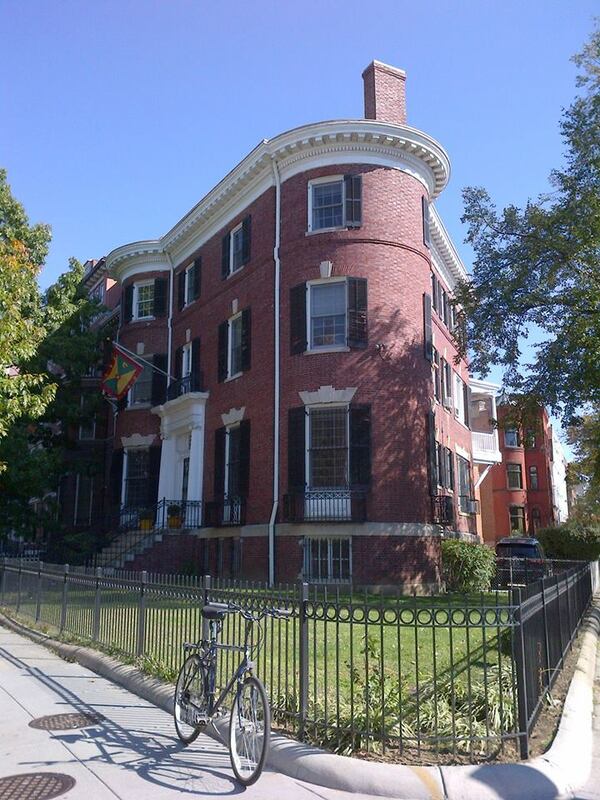 The Cuban Embassy served in that capacity for the next 43 years, until newly-elected President John F. Kennedy severed diplomatic relations with Cuba following the Cuban Revolution of 1959 and that country’s subsequent decision to closely ally itself with the Soviet Union. 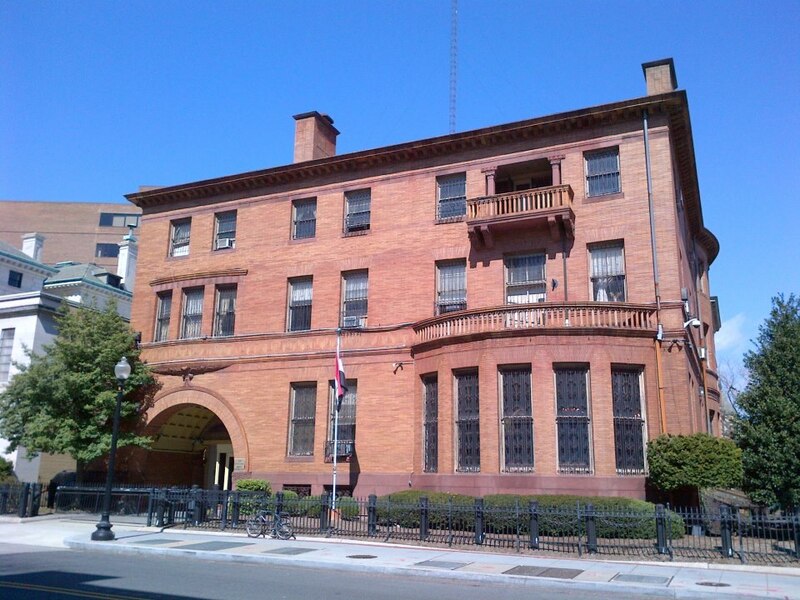 Later, beginning in the 1970s, the embassy building housed the Cuban Interests Section in the United States. The Cuban Interests Section and its counterpart, the United States Interests Section in Havana, were sections of the respective embassies of Switzerland, which acted as protecting power. However, they operated as embassies independently of the Swiss in virtually all but protocol respects. The United States will be opening an embassy in Havana on Friday at a similar ceremony to be presided over by Secretary of State John Kerry. 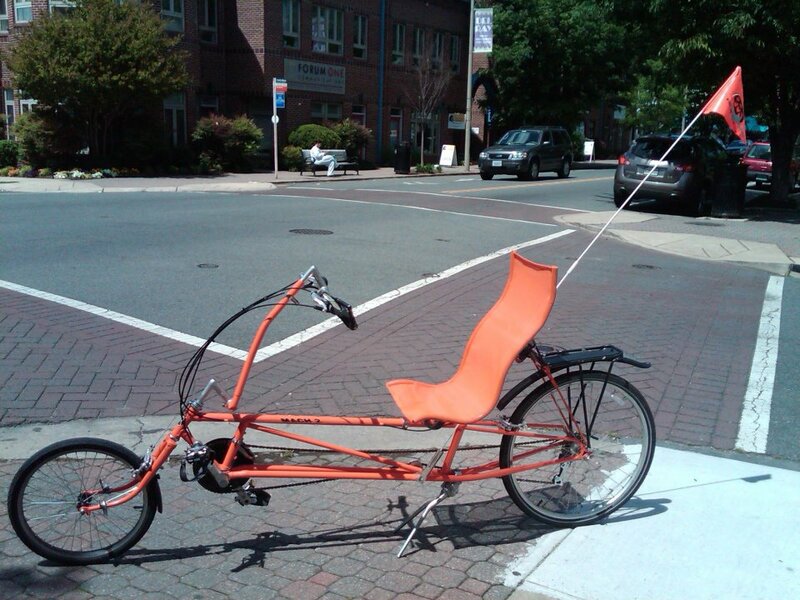 I won’t be riding my bike there to see it, though, at least any time soon. A number of differences and disputes between our two countries remain. These include Cuba’s request that the U.S. return its Naval base in Guantanamo Bay and lift the economic embargo, which Congress has shown little inclination to do anytime soon, as well as the U.S.’s concerns in regard to human rights abuses by the island nation. Whether the reopening of the embassies lead to resolution of these matters remains to be seen, but perhaps it may be a first step in that direction. 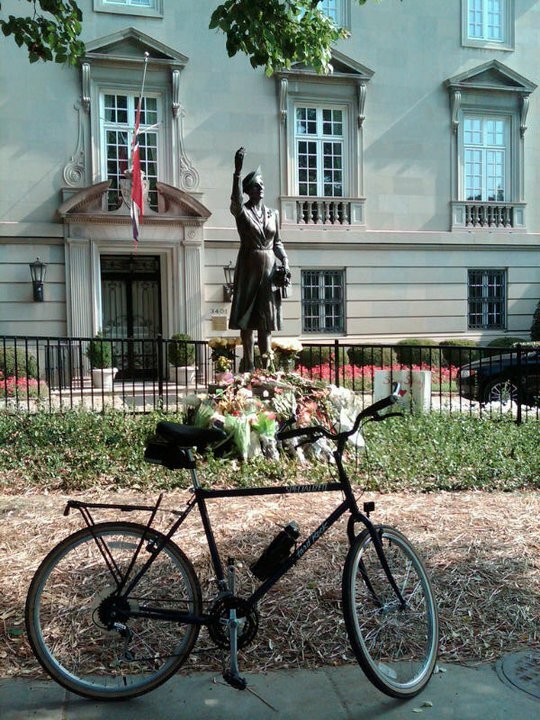 On this bike ride I stopped by the Norwegian Embassy to see the statue of Märtha Sofia Lovisa Dagmar Thyra, more commonly known as Crown Princess Märtha of Norway. The statue is located in front of the main residence on the grounds of the embassy, which is just off Massachusetts Avenue at 2720 34th Street (MAP) in northwest D.C.’s Embassy Row neighborhood. Princess Märtha may be one of the only people in history to be born into a royal family, then cease being a member of that royal family before marrying back in to the same royal family once again. Princess Märtha was the daughter of Prince Carl of Sweden and Princess Ingeborg of Denmark. She was born on March 28, 1901, in Stockholm, just prior to the dissolution of the union of the United Kingdoms of Norway and Sweden in June of 1905. So for the first four years of her life, she was a Princess of Sweden and Norway. After the union of the sovereigns ended, she was no longer a princess of Norway, and became Princess Märtha of Sweden. In March of 1929 following a year-long engagement, she married her cousin, Crown Prince Olav of Norway, in Oslo Cathedral, in the first royal wedding in Norway in 340 years. Thus, she once again became a Princess of Norway. They went on to have three children, Princesses Ragnhild and Astrid of Norway, and Prince Harald V, who eventually ascended to the thrown and is the current King of Norway. When the Nazis invaded Norway in 1940, Princess Märtha and her children fled to her native Sweden. However, they were not well received by the Swedish people because it was felt that their presence could compromise Sweden’s neutrality. So at the invitation of President Franklin D. Roosevelt, the family came to the United States. However, she was not accompanied by her husband, Crown Prince Olav, who stayed with his father, King Haakon VII, and established a government-in-exile in England. After brief stays at Roosevelt’s private estate in Hyde Park, New York, and then The White House, the family purchased and moved into an estate in Bethesda, Maryland, just outside of D.C. However, she continued to maintain a close friendship with President Roosevelt after leaving the White House, and the family was often invited back and included in both private and public functions there. When the war finally ended in 1945, Princess Märtha and the children returned to Norway, where they were reunited with Crown Prince Olav and King Haakon. She focused on helping Norway and the Norwegian people recover from the war, and spent the rest of her life working with many charities in Norway. Following a lengthy period of ill-health, Princess Märtha died of cancer in Oslo in 1954. Her husband would go on to become King Olav V in 1957 until his death in January 1991. Since her death came approximately three years before her husband ascended to the throne, she never became a queen and will forever remain a princess. She was the princess of Norway from birth until the age of four, and then again from age 28 until her death. So during her lifetime her two tenures as a princess of Norway together lasted for 30 of her 54 years. The bronze statue of Princess Märtha was sculpted by Norwegian sculptor Kirsten Kokkin, and was unveiled on September 18, 2005. It was a gift to the citizens of Norway from the Norwegian American Foundation on behalf of the Norwegian-American community in the United States. And if you can’t get to D.C. to see it, you have two other opportunities. Another cast of the statue is located at Palace Park in Oslo, Norway. It was unveiled by her son, King Harald V of Norway, on his 70th birthday in 2007. A third cast of the statue, located in Stockholm, Sweden, was unveiled in October of 2008. Today is the anniversary of “Operation Red Dawn,” an American military action which was executed on this day in 2003. The operation, named after the 1984 fictional war movie starring Patrick Swayze, took place in the town of ad-Dawr, in northern Iraq, near Tikrit, and led to the capture of former Iraqi dictator Saddam Hussein, who had been on the run at that point for approximately nine months. In observance of the anniversary of the military operation, on this lunchtime bike ride I rode to the Embassy of the Republic of Iraq, located at 3421 Massachusetts (MAP) in the DuPont Circle neighborhood of northwest D.C.
Saddam’s downfall began on March 20th of that year, when the United States led a multi-national coalition of military forces into Iraq to topple his government, which had controlled the country for more than 20 years. Saddam went into hiding soon after the American-led invasion, speaking to his people only through an occasional audiotape. 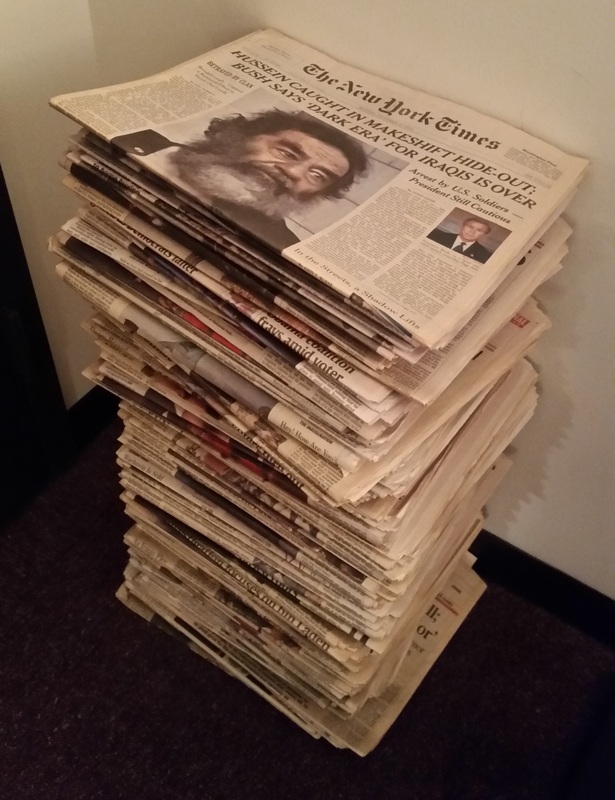 After an investigation and being interrogated by the FBI, Saddam was eventually tried by a Iraqi special tribunal on several criminal counts, and was found guilty of crimes against humanity. He was sentenced to death by hanging. After an unsuccessful appeal, the execution was carried out on December 30, 2006. The country of Grenada is a small island nation and commonwealth realm consisting of the island of Grenada and six smaller islands at the southern end of the Grenadines in the southeastern Caribbean Sea, northeast of Venezuela. 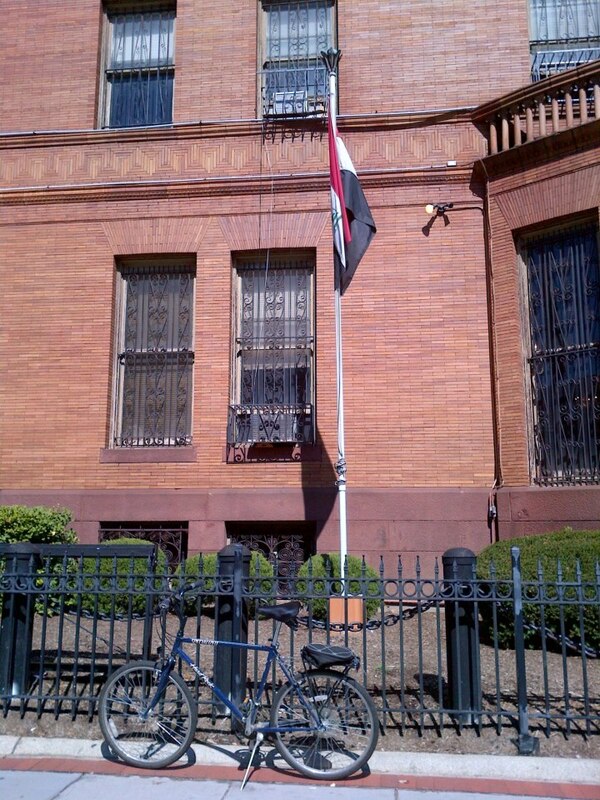 While I was out for this daily lunchtime bike ride at work, I stopped by their country’s embassy. 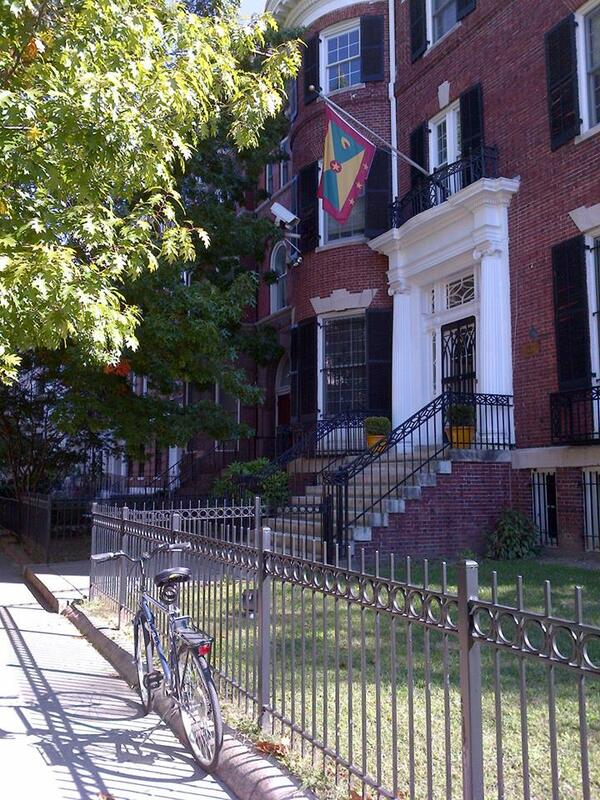 Located at 1701 New Hampshire Avenue (MAP) in northwest D.C.’s Embassy Row neighborhood, the Grenadian Embassy serves as the country of Grenada operational headquarters for its bilateral responsibilities with the United States, as well as its multilateral role representing Grenada’s interests as one of the 35 members of the Organization of American States. Grenada gained its independence from the United Kingdom in 1974. Five years later, the leftist New Jewel Movement seized power in a coup, deposed and executed Grenadian Prime Minister Maurice Bishop, and suspended the country’s constitution. This led to an internal power struggle within the country. President Ronald Reagan, citing the threat posed to American nationals by that nation’s Marxist regime, then ordered the Marines to invade the island and secure the safety of Americans as well as others living there. The invasion by a U.S.-led military force began early in the morning hours, exactly 31 years ago tomorrow. In a military operation named “Operation Urgent Fury,” U.S. military forces, along with those from Jamaica, Antigua and Barbuda, Dominica, St. Lucia, and St. Vincent and the Grenadines, launched the invasion on October 25, 1983. In little more than a week, Grenada’s government was overthrown and a constitutional government was restored. The Reagan administration claimed a great victory, calling it the first rollback of communist influence since the beginning of the Cold War. To commemorate the invasion, October 25th is now a national holiday in Grenada called Thanksgiving Day. Even though it bears the same name as the American version of Thanksgiving celebrated on the fourth Thursday of November, the Grenadian holiday is unrelated to this country’s celebration. Regardless, I stopped on my ride back to my office and bought a roast turkey sandwich for lunch to celebrate early. Happy Thanksgiving Day everyone. 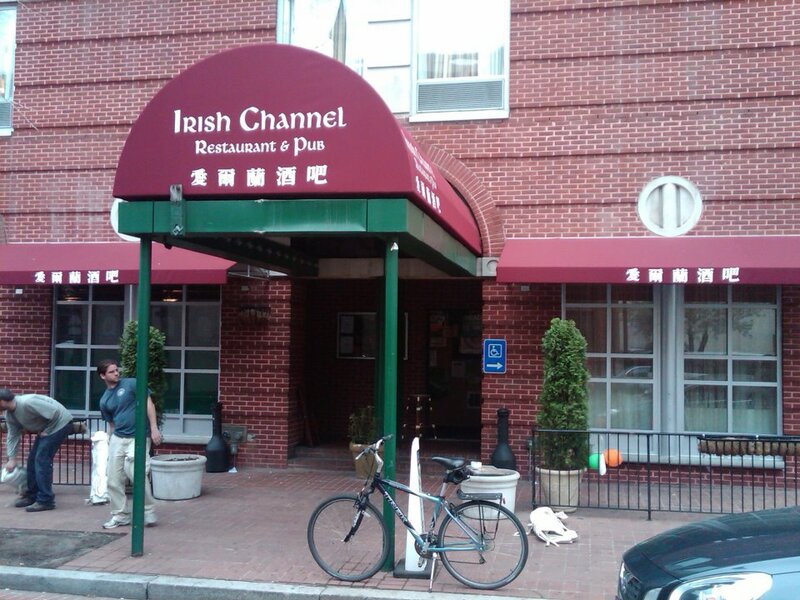 Celebrating St. Patrick’s Day is a tradition for many, whether you are Irish-American or not. 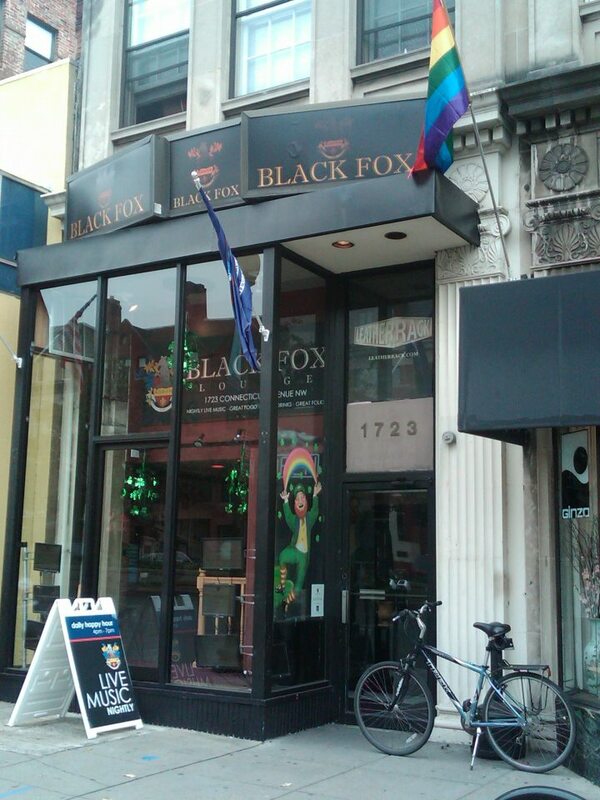 But if you’re in D.C. and looking to celebrate on St. Patrick’s Day, March 17th, your options may be limited. 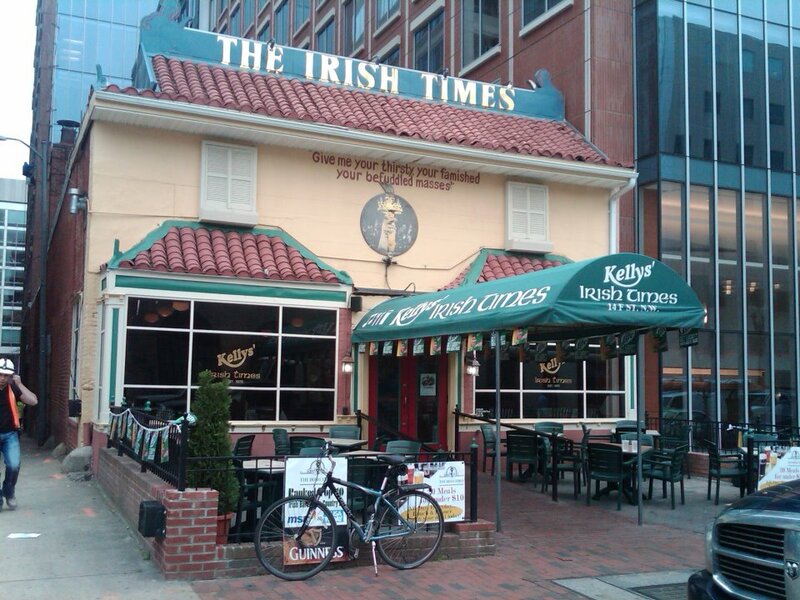 The biggest St. Patrick’s Day celebrations in our nation’s capitol usually don’t take place on the day itself. 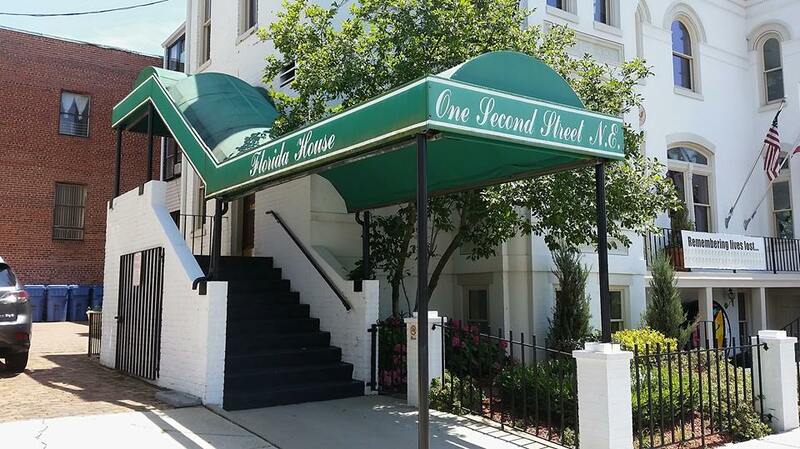 One option would be to stop by the Embassy of Ireland, which is located at 2234 Massachusetts Avenue (MAP) at Sheridan Circle, in the northwest D.C. neighborhood of Embassy Row. The semi-detached limestone building was designed around a central staircase and built in the Louis XVI manner. 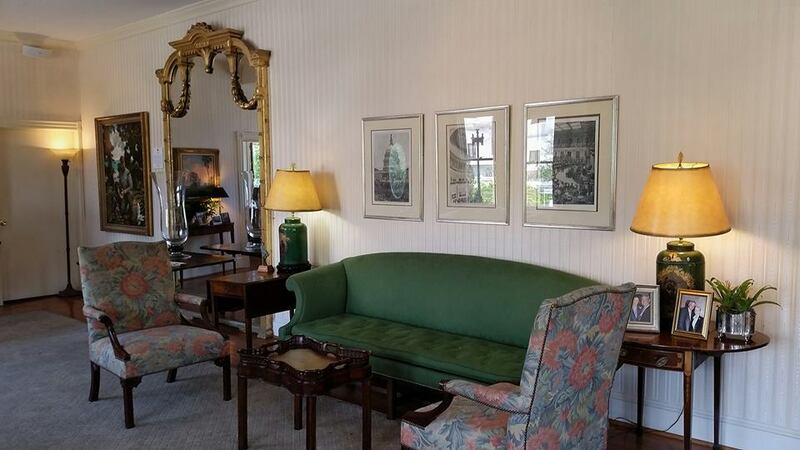 Today, the building includes formal reception rooms which have been maintained in their original style as well as offices for the officials based at the Embassy. 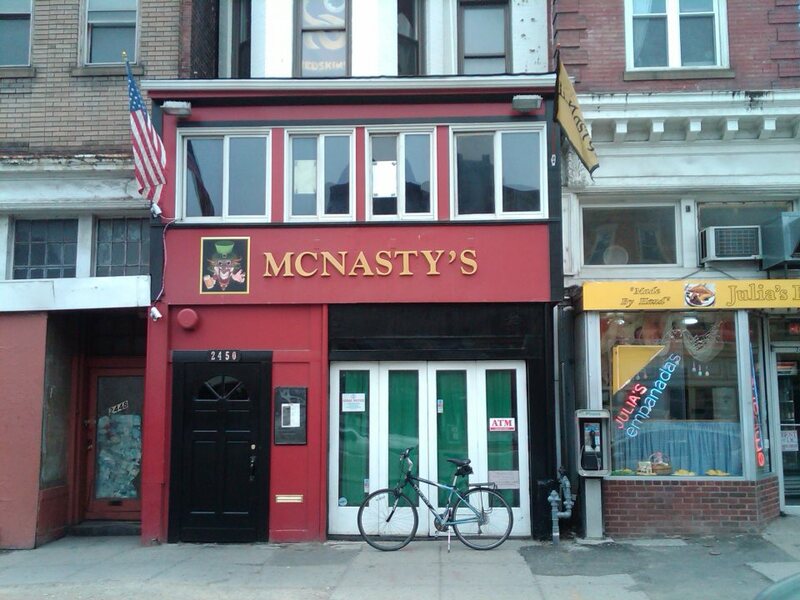 But since it’s a national holiday for Ireland, the Embassy is closed on St. Patrick’s Day. 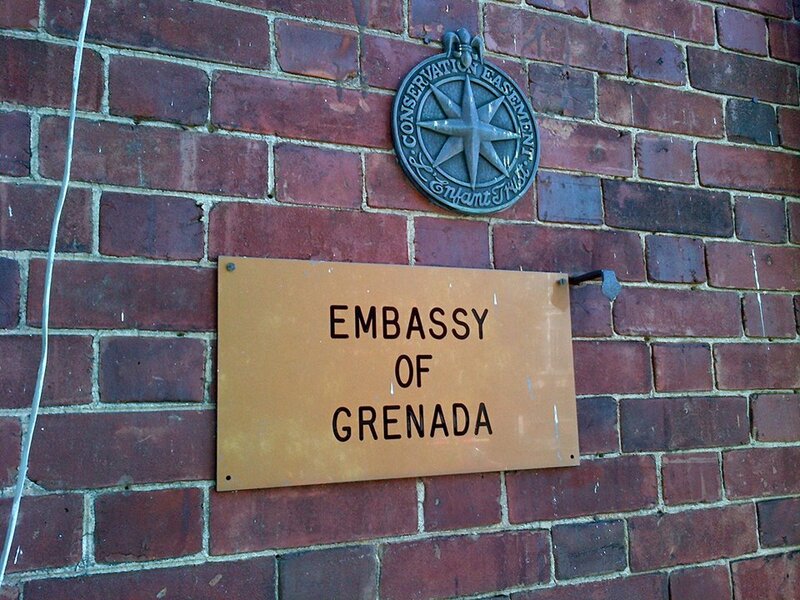 However, there is an annual open day for members of the public at the Embassy in early May. Another option to celebrate the holiday is to attend the St. Patrick’s Day Parade, which takes place in northwest D.C. along Constitution Avenue between 7th and 17th Streets (MAP). This two-and-a-half hour special event, known as the Nation’s St. Patrick’s Day Parade, includes floats, marching bands, pipe bands, military, police, and fire departments. Unfortunately, that took place last weekend on March 15th. 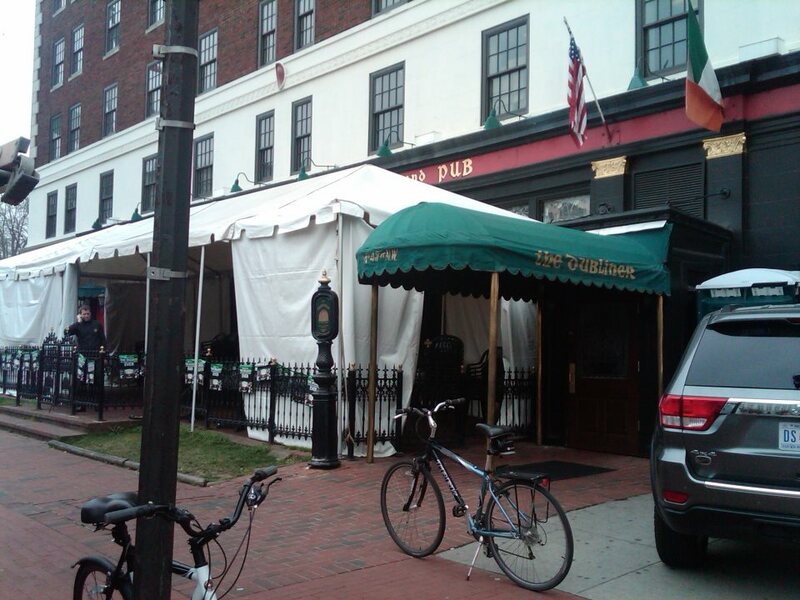 Another option for celebrating St. Patrick’s Day is to attend The National Shamrock Fest, a street festival with live music, food, drinks, roving entertainers, craft vendors, an Irish Village, carnival rides, games and much more. Shamrock Fest is the largest St. Patrick’s Day party in the D.C. metro area, featuring more than 40 bands and DJs on 9 stages. The event is held at Robert F. Kennedy Stadium, located at 2400 E. Capitol Street in northeast D.C. (MAP), and takes place rain or shine. But it takes place next weekend, on March 22nd. 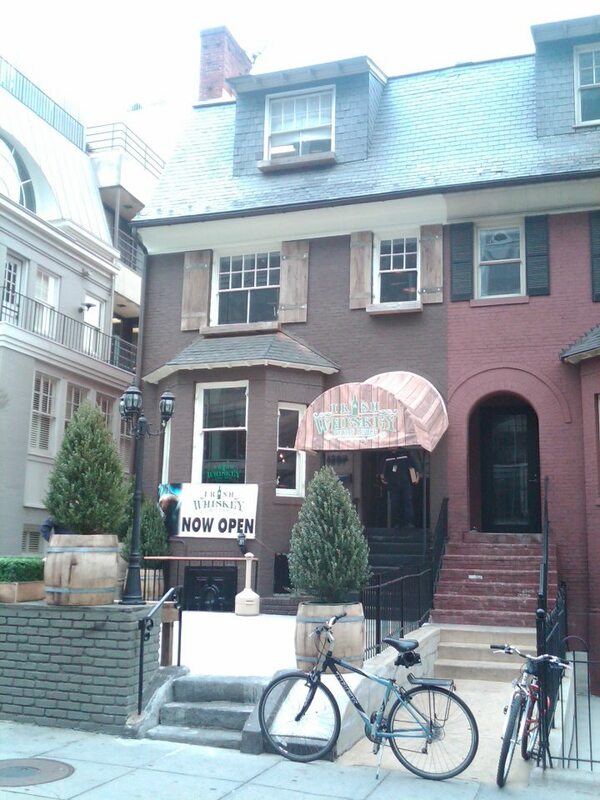 I guess the best way to celebrate St. Patrick’s Day on St. Patrick’s Day is to do it the old fashioned, traditional way – with an Irish pub crawl. 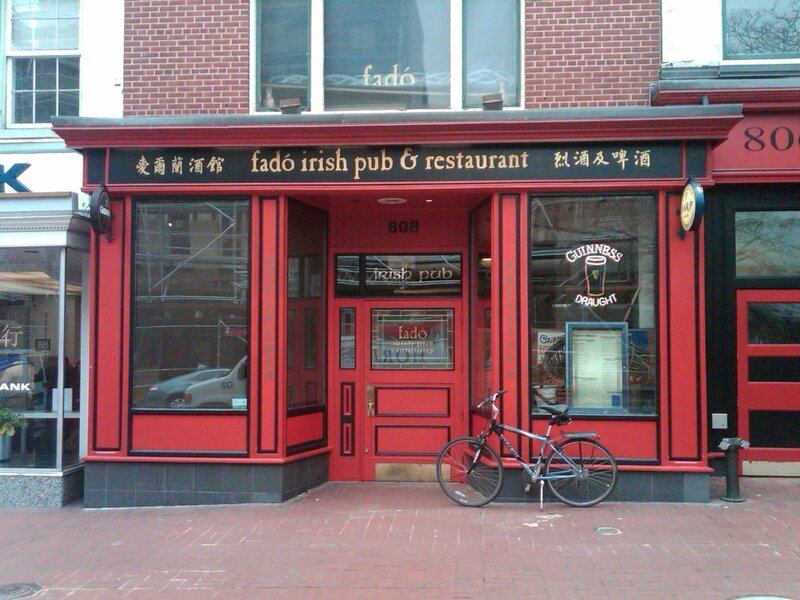 And since it seems like you can’t go for a bike ride or swing a shillelagh in D.C. without hitting an Irish pub, it won’t be difficult to find one. 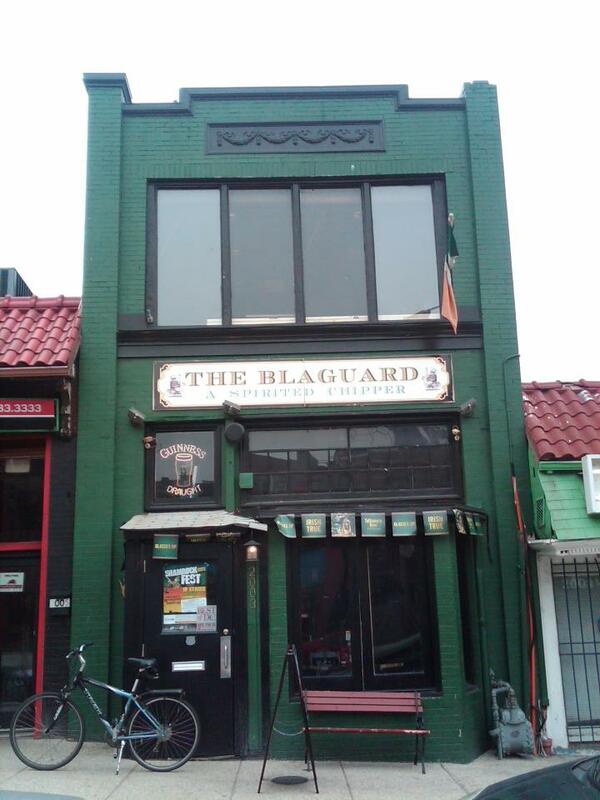 Erin go bragh.